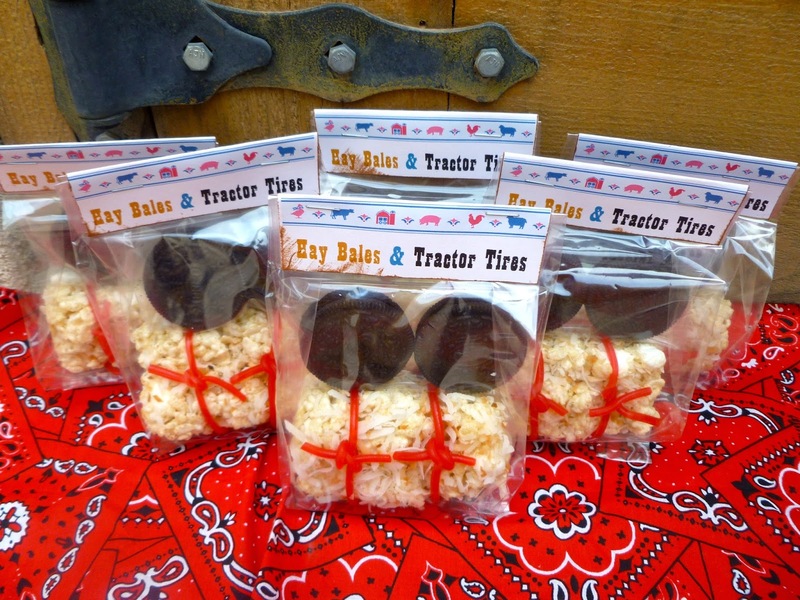 We signed up to bring a snack for the field trip that Ethan attended at the Farm and Ranch Heritage Museum. This is what we decided to make. 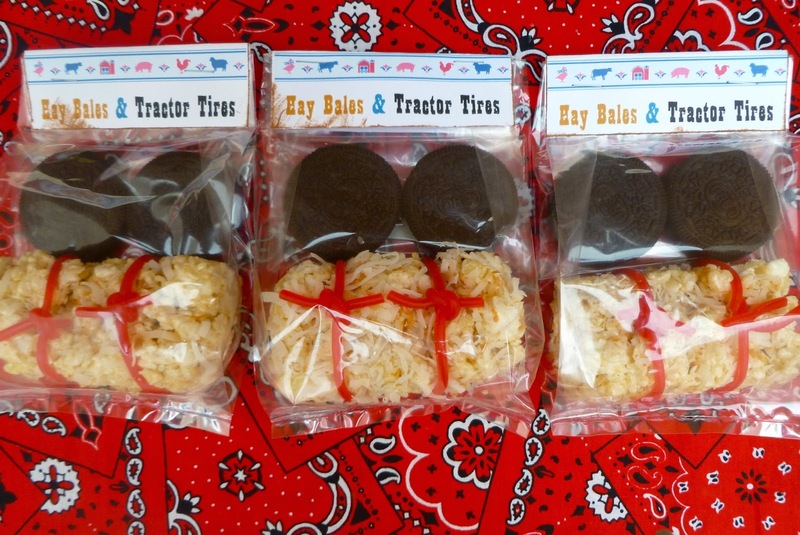 Hay Bales-rice crispy treats covered with a little bit of toasted coconut and then wrapped and tied with pull apart licorices. 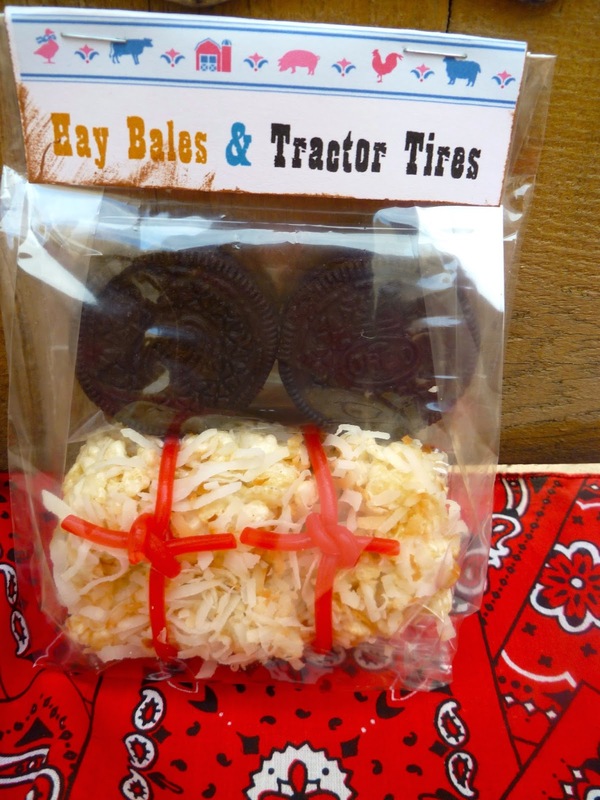 Tractor Tires-Oreo cookies. My friend Michele made the cute tags for me.